After posing the previoous post about big crochet, I've been informed of a UK based company, Keepers Makers, which sells giant crochet hooks from their website. Click on the image to visit the shop. 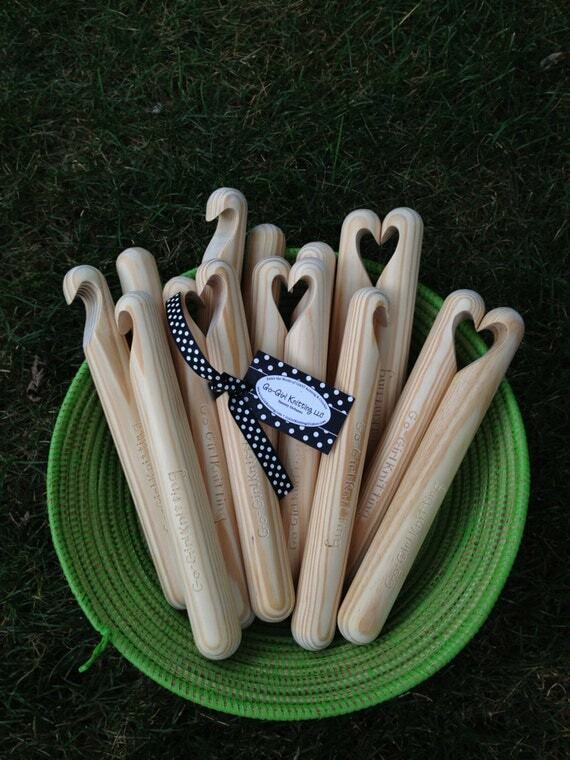 These crochet hooks are available from Go Girl Knitting, on Etsy. Click on the first image to visit the Etsy page. 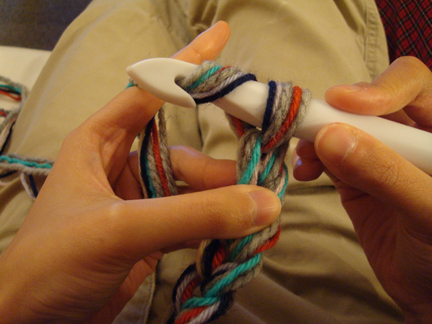 There's a Go Girl Knitting website, too! More pics from other sources - click on the images to find them. Also, for chunky, inexpensive/free yarn, try t-shirt yearn. Here's a great tutorial. Thanks to Chrissie for the Keepers Makers link!